Your daughter is the starring role of her Quinceanera in this hollywood inspired invitation. 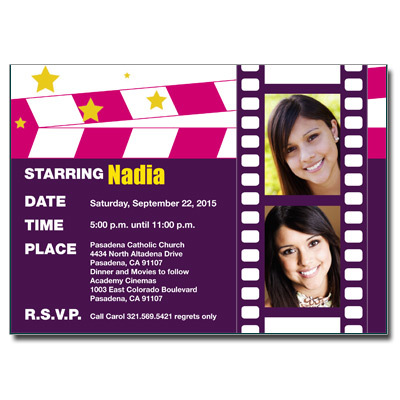 Customize this purple, pink, and white invite with your event information and two photos of your movie star. Card measures 7 x 5.